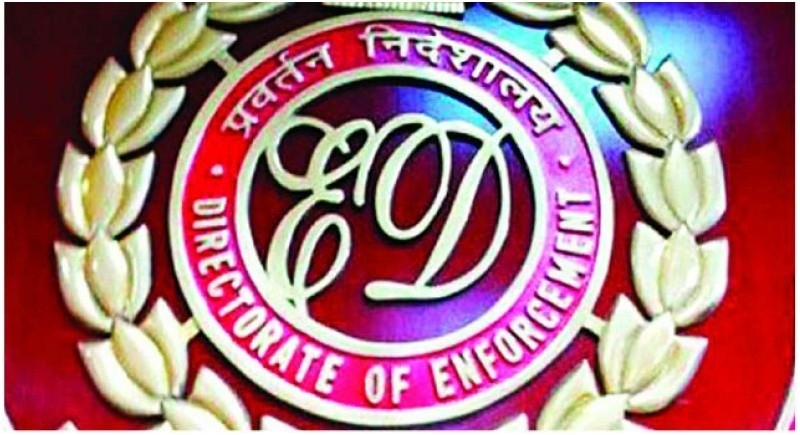 Raipur, January 1: The Enforcement Directorate, ED has registered a money laundering case in alleged multi-crore Chhattisgarh Civil Supply Corporation scam, which was unearthed in 2015. The ED has taken cognisance of the FIR and charge sheet filed by the Chhattisgarh Police's economic offences wing (EOW) and the anti-corruption bureau (ACB) in the case. An Enforcement Case Information Report has been filed under the Prevention of Money Laundering Act sometime back. They said the agency is expected to soon issue summons to the accused named in the ECIR in order to take forward its probe. The alleged scam was exposed in February 2015 when the ACB and the EOW carried out simultaneous raids at 25 premises of the Civil Supplies Corporation and its officials. Later, the ACB made 18 people, including two Indian Administrative Service (IAS) officers, Anil Tuteja and Alok Shukla, accused in the case.